Though Justin James’s label Refused Audio is a newcomer on the scene, it’s already proving quite mighty. Its freshest offering, the three-track Conflict EP by Portuguese upstart Nuno Lisboa, is a hearty heaping of dark, nuanced minimal techno with plenty of twists and turns. Each production is excellent for both the dance floor and the headphones. The EP kicks off with “Conflict” which takes its title into full consideration as it weaves throughout spooky sound effects, resonant synth hits, and growling vocal samples, all led by a solid backbone of a round kick drum and jazzy hi-hats. 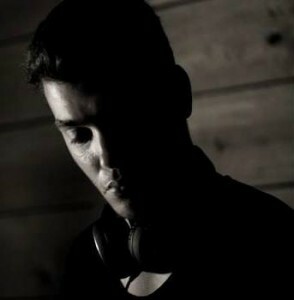 It would be the perfect track to transition between the less intense beginning of a DJ set into the rollicking middle. Up next, “Decals,” the standout track for us, infects your booty and your brain with its perfectly spaced melodic tones and Dubfire-esque steamy effects. It creates several moments of tension and release that great minimal tracks are known for. “Plucka” closes things out. Lisboa dives head first into the freaky-fun side of techno here, clearly having fun tweaking synth patches and creating sweeping effects. Preview Conflict below and get a glimpse of how powerful yet fun-loving techno can be. Then go buy it on Beatport and save it for those special moments where you’d like to add a little chaos to the dance floor.